The annual publication of Lee Child’s brand new Jack Reacher thriller is always eagerly awaited. I received a lovely hardback edition of this one (it was purchased in an edition sold by Tesco in the UK, containing an exclusive short story: “The Fourth Man”). Having read all the Jack Reacher books, I have to say this one isn’t one of the classics – for me, it took too long for the real story to begin. We follow a young, Canadian couple to a country motel following the breakdown of their car and Jack Reacher to the city of Laconia, the town where his father grew up. The motel, though, is not what it seems – the owners trap the Canadians in their room and set up a sinister gathering of like-minded individuals. Meanwhile, Reacher tracks down the location of his father’s family’s home and seeks accommodation – at the same motel. The final showdown is excellent and Reacher has lost none of his deadly skills. 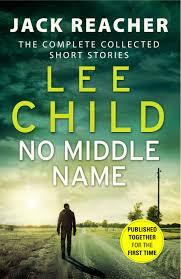 This is the 22nd book in Lee Child’s Jack Reacher series and it continues where the 20th book, Make Me, finished. Any hope that Reacher’s collaborator in the previous book, Michelle Chang, would feature again were immediately dashed – but Reacher does work with an ad- hoc team in this one, and those tend to be the best of his adventures. The premise of the book is that Reacher sees a small West Point ring in a pawn shop and decides to track down the (presumed female) owner and return it to her. Being an alumni himself, he feels a duty to help someone down on their luck. He allies himself with a detective, Terry Bramall, who also happens to be looking for the owner of the ring – employed by the beautiful sister of the owner. Finding the woman is only the beginning – the issues causing her to pawn the ring (battlefield injuries and drug addiction) are far harder to solve. The next book in the series will be called Yesterday. In a recent interview on BBC Radio 4, Lee Child was asked why Jack Reacher gets into so many tricky situations. The answer was simple – he keeps to himself pretty much all of the time, but a couple of times a year, trouble comes his way and he can’t leave it alone. Child has had no luck selling the idea of Reacher sitting drinking coffee all day to a publisher – so only the exceptional days get told in his books. This book starts with Reacher drinking coffee in New York, minding his own business. A short time later, he’s in a swanky apartment helping to investigate the kidnap of a man’s wife and daughter. The first 24 hours are vital to the hunt – and Reacher is a witness who can help track down the mercenaries who took them. Quickly, though, we find that all is not as it seems. The husband searching for his family is himself a shady character; a mysterious woman in an apartment opposite is keenly watching the comings/goings from the flat; the ransom demands jump up in multiples of millions, yet are paid in cash with little thought. As ever, it’s the details that matter – Jack Reacher misses little and is on hand to exact appropriate retribution. This is a collection of short stories featuring Jack Reacher. Despite reading a few negative reviews, I found this book pretty good. I’m sure a lot of Jack Reacher fans will be interested to read about Reacher’s childhood – but I can imagine it would have been hard to explore that in a complete novel. “Second Son” is set when Reacher is 13 and newly arrived at a military base. Whilst his upbringing is mentioned in other books, the relocation from one base to another is shown to be a big part of his life. He has to find his feet pretty quickly when surrounded by openly hostile kids – and his loathing for running means that in a fight-or-flight situation, the choice is already made. “High Heat” is set a few years later – Reacher goes to the city at 16, purely to look around before visiting his brother. As a man, we see that he gets involved whenever he witnesses an injustice – as a young man, he was already inserting himself into adult conflicts, and somehow coming out on top despite tough odds. 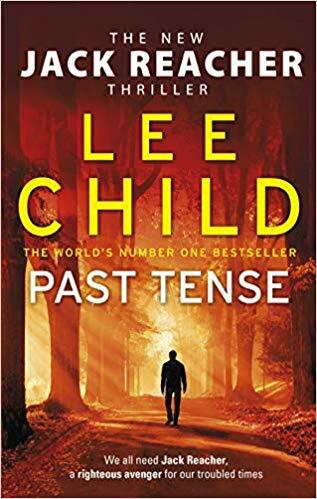 “James Penney’s new Identity” stands out because Jack Reacher is really incidental to the main plot – I don’t think Lee Child has written many books without Reacher (any? ), but this shows that he has more than enough ideas if he wanted to invent another character. But Reacher is so popular, you can’t blame him for giving the public what they want. The best stories are at the start – the last few are shorter too, but by then I’d had a great time reading the book anyway. A friend sent me a link to some Jack Reacher quotes and I was delighted to discover that it listed a book in the series that I hadn’t read – “Running Blind”. I ordered it immediately – alas when it arrived, it turned out to be “The visitor”, a book I had already read, just published under another name in the U.S. This book sees Jack Reacher in a relationship with Jodie, the high-flying daughter of his old boss, General Garber. It’s the closest he’s got to settling down – he inherited Garber’s old house (which sounds great by the way), he loves Jodie – all is well. Except that he cannot escape the nagging voice that tells him to move on – and eventually, he will. The book centres on a series of macabre murders, where army women are found dead in a bath of green paint – cause of death, motive and method all unknown. In a side plot, Reacher sees that his favourite restaurant is being threatened by a protection racket – so he steps in, fearlessly as ever, to take on the thugs. Unfortunately, his brand of rough justice is witnessed by a couple of FBI agents, and Reacher is forcibly recruited by them to help investigate the bath tub murders. It turns out he knew a couple of the women involved, and was being followed as a suspect. He satisfies his yearning for travel by flying around the country investigating, accompanied by the lovely Special Agent Lisa Harper. The book finishes with Reacher solving the case and his girlfriend’s career really taking off as she is made partner by her law firm. It’s clear their days together are numbered and by the next book, he’ll be a loner again. For me, there’s a lot of suspense before I read a Jack Reacher thriller. 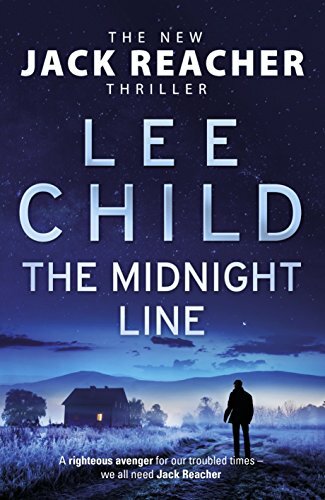 A recent tradition is that Lee Child is interviewed by Phil Williamson Radio 5Live, discusses the book that’s just been published, and reveals the first line of the next book. So in September 2015, we knew the title was Night School and the first line would be: “In the morning they gave Reacher a medal, and in the afternoon they sent him back to school”. And in September 2016, he talked more about the plot. Then I received a lovely hardback edition of the book for Christmas and finally picked it up to read a week ago. A long build-up, plenty of suspense – would the book be up to the usual standard? Yes, of course it is. It’s a flashback to the 1990’s, the days that Reacher was still in the army, at the top of his game, sent on a special investigation to find and destroy a terrorist cell in Germany. The book features the enigmatic Frances Neagley as well, his top sergeant from the 110th Military Police. It has all the hallmarks of a classic Jack Reacher thriller, even cheekily putting the standard description of him as “six feet five and two hundred fifty pounds”, even though Tom Cruise is probably picturing himself playing the role in the next movie as I write this. The book starts with the premise of an overheard conversation: “The American wants 100 million dollars” – Lee Child doesn’t disappoint. Reacher has Chang for an accomplice, a beautiful ex-FBI agent, who is searching for her colleague Keever who disappeared – last known location, Mother’s Rest near Oklahoma City. The underlying mystery is one of the deepest in the series – in fact, it’s a long way into the book before we have a clue what is going on in the town of Mother’s Rest, and there’s still time for a plot twist at the end. Will this be the penultimate book in the series? Jack Reacher shows vulnerability in this one, he’s actually hurt physically and that could carry into the next book. He also grows more attached to Chang than is usual and perhaps she’ll appear in the next book too – maybe he’ll settle down to a more stable investigative partnership (with benefits)? 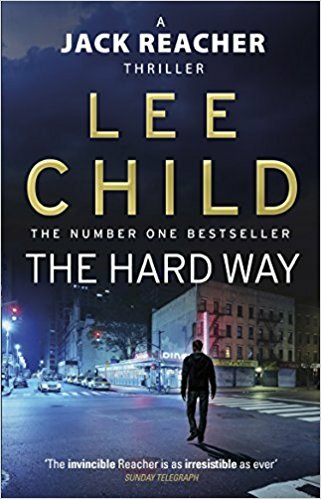 If he’s on schedule, then Lee Child has already started the book and may even know some of the answers.